bottom 1023gr. + top 944gr. 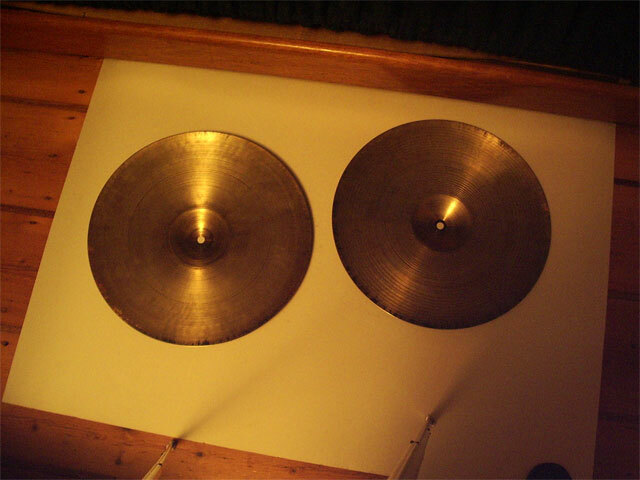 15 inch '60s hi-hat cymbals, the bottom cymbal is just a little bit heavier than the top and has a little inkstamp HIHAT inside. 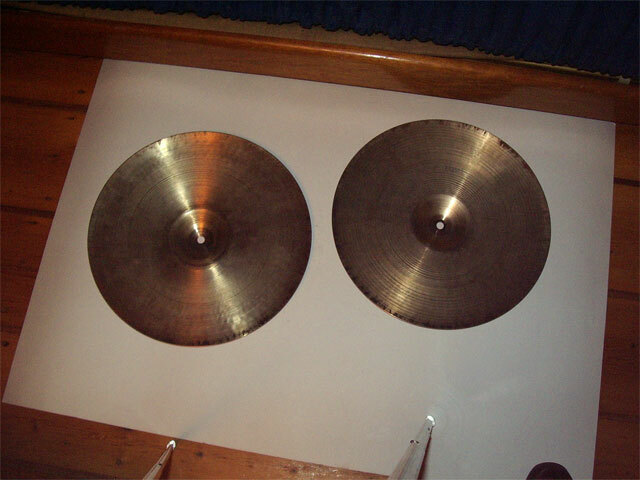 Both cymbals are medium-thin I would say. There are lots of fingerprints and brown darkish patina has formed over the years. They have a big sound and a more sloppy chick. Nice spread and wash when played half open. 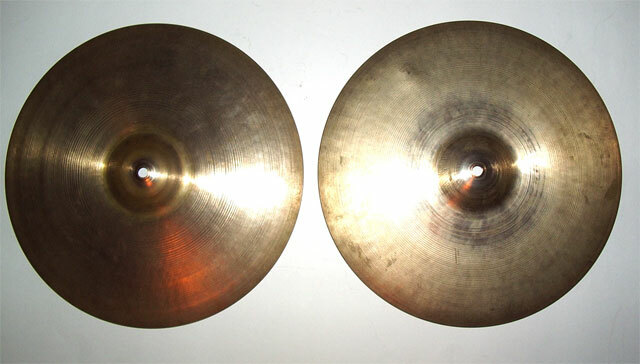 Of course they are louder than 14 inch A. Zildjian cymbals. If you like a big sound with a lot of wash this is it. No cracks and hardly any keyhole.